Sienna Rose has been through so much in her life. While her complete history is unknown, she’s fully blind in one eye and partially blind in the other, and it’s obvious from all her injuries and scarring that she was once a bait dog. 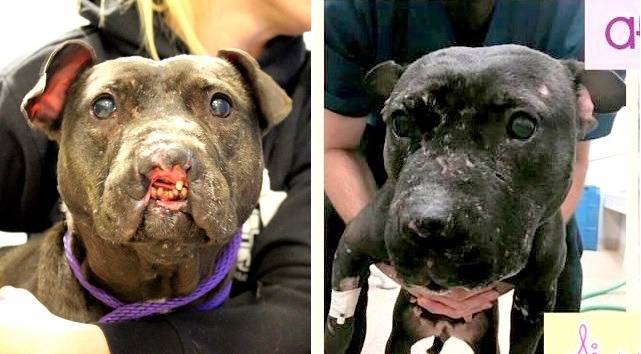 But now she’s gotten the reconstructive surgery that will help her live a normal, happy life! Very tough to put together the right words here. We received a plea for this poor girl tonight & of course, immediately said yes! The pain & suffering she endured to look like this is unimaginable! 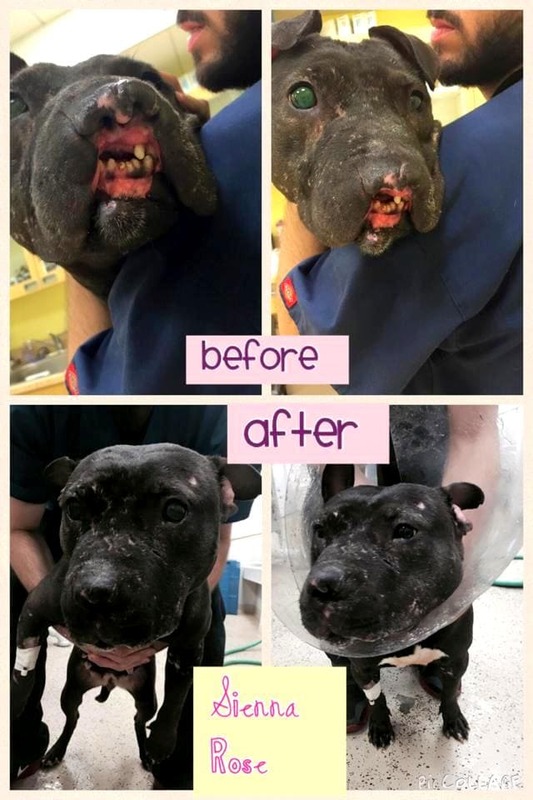 It’s a pretty good bet that she was used as a bait or fighting dog as she’s covered in scars & something took part of her face off!! Meet Sienna Rose (aka Seal, shelter name). She is heading to our vet tomorrow & will be seen by our surgeon ASAP! Of course, we want to give this sweet six-year-old love the best rest of her life possible! Post by Second Chance Rescue NYC Dogs. We are so thrilled to show the amazing results of Sienna Rose’s miracle reconstructive surgery! Thank you to Grossbard Veterinary Referral services! We are so happy for this amazing baby girl! Talk about Second Chances! Now she needs a home. If you’re interested in adopting her or any of Second Chance’s pups who could really use a good home, please CLICK HERE. 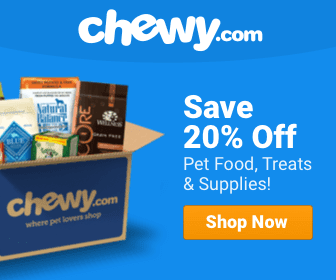 They are located in New York, but have dogs up and down the east coast! Good for her!! :0) She must be so happy now. As I gazed at her face.. thoughts of what I would do to a person I saw hurting a dog, unspeakable. Look what greed has done to this innocent animal! I’m sick that so many animals are injured for no greater good. I’m so happy to know this pup will know love! God, I hate most people. Those who save animals are far & few between. Those that hurt them hopefully have a special place in hell. Wow great job they did on her!! Thank God for kind hearted people like you all! May your tribe increase. So nice to see a good kind ending to a once horrible story. How utterly disgusting n cruel some ppl can be!! I’m glad she’s had her face fixed, hopefully she’s with someone who can fix her heart! Love SecondChance Rescue! So proud to be a supporter. Thank you save the dog. And care of the dog. I appreciated you. Animal abusers should rott in jail for life ! 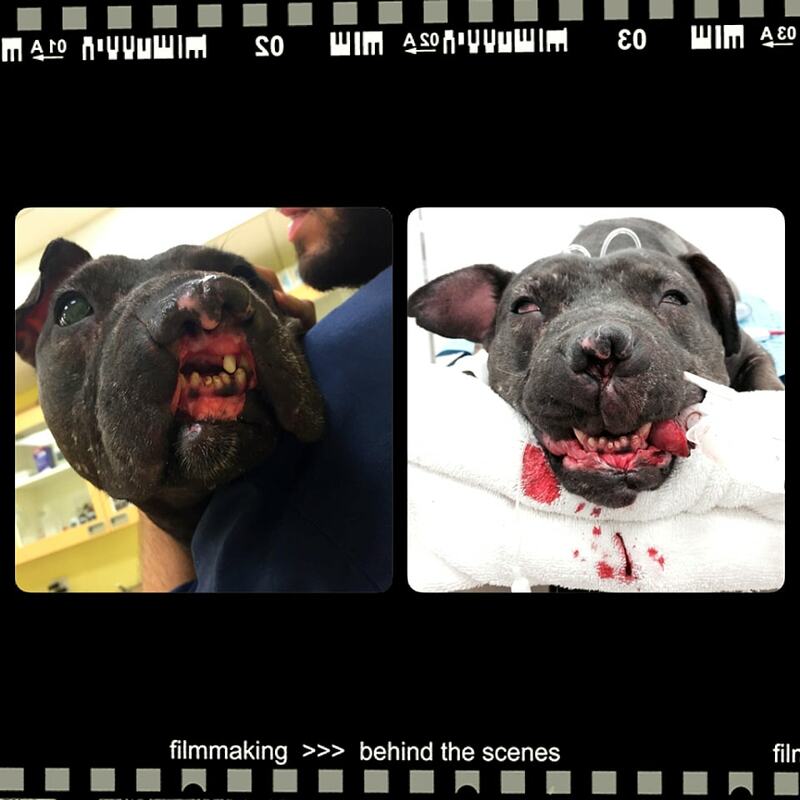 Like a “bait dog” is not bad enough – let’s use BLIND bait dogs. What is WRONNNG with people???? How could they, just how could they? Beautiful, beautiful girl she is!!! Jodie Poller!!! Brian did such a great job that lots of animal groups are recognizing his amazing work!! I hate people!!!! How can someone do that to a beautiful dog? It makes me sick!! God bless you baby! Grossbard Veterinary Referral thanks for helping this sweet girl out! Wow! She looks amazing. Such angels taking care of her! my god… thanks to everyone involved in making this miracle happen. i cannot comprehend the evil in some people. Always brings me to tears when i see a fur baby like that. It brings out the anger, I just wanna hurt those people like they hurt innocent animals! Glad she became some help and got love. Thank you for rescuing here! So many bite scars. Breaks my heart. I hope she finds a loving family. What a beautiful sweet baby!!! Thank you for helping her. That poor innocent dog. Disgusting and gross people. Dog fighting & puppy mills need to eliminated from the planet. i love the story but the pics are of two different dogs. wat a second here , Am I the ONLY one seeimg 2 different colored dogs ???? If you look at the colour of the things surrounding the dog, the colour of the photo itself has changed how she looks. My first reaction was different colours… But taking a closer look, you can tell the first photo was heavily coloured. Likely the lighting in the room changed the way the photo was taken. It is 2015 and this crap is still going on. God Bless all the people who help these helpless creatures. The people that do this should be hung!! I’m glad she’s in good hands now. Poor little girl!! People can seriously go to hell!! It makes me so sick to see what people do for their entertainment or a little profit. Laws need to be equal for pets as humans, pets are so much a part of a family as humans are. So sad. God bless this pooch. God Bless you beautiful girl..So sorry you ended up in the wrong hands hopefully the next leg of your journey is filled with love,compassion and protection.. Praise God for folks that help these babies…My heart hurts for all the suffering she went through. May karma find every last soul that has abused an animal. Happy for her. Poor thing. She is so beautiful. I wish I could be able to help all abused animals. So sad. God bless her. Happy life now for this poor baby girl!! I am happy and sad for her that she endured more torture than anything should ever have to go through. Thank heavens for her second chance at life. Sienna is no longer a seal! Blessings for you for taking care of this lovely pup. I can’t read this, it hurts too much! Some people are such cruel monsters. So glad this sweetie pie got a second chance. The fuckheads who did this and all of them who still participate in this unbearably barbaric and inhumane sport wiIl get served cold hard justice. We have to keep fighting them back. Never stop fighting for this cause.